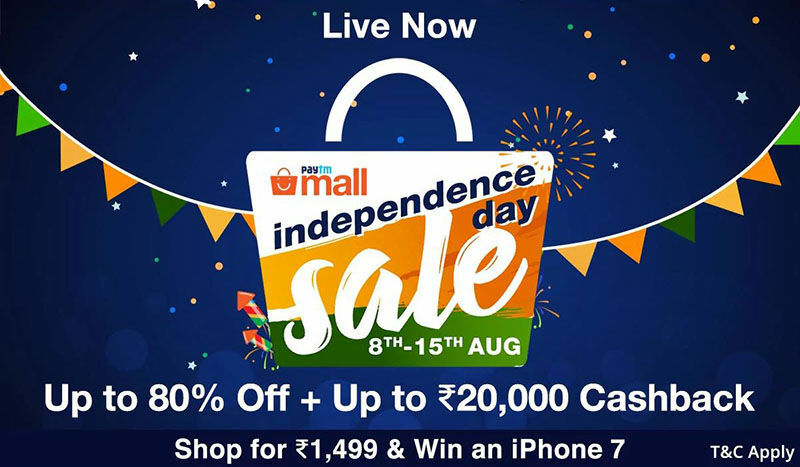 Paytm Mall began its Independence Day sale on Tuesday, a day before Flipkart Big Freedom Day Saleand Amazon Great Indian Sale kick off. 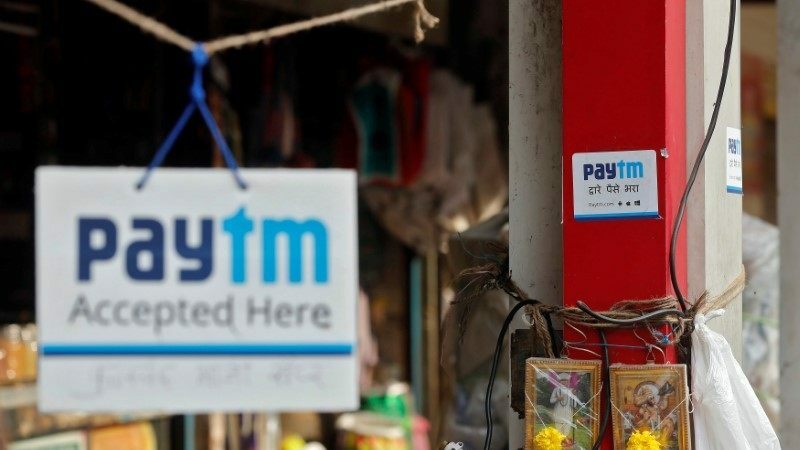 The Paytm sale will go on for a full week leading into August 15. Discounts and cashback offers are being provided on a range of smartphones, laptops, home appliances, clothing and accessories. As part of the Paytm sale, you can get the iPhone 7 with up to Rs. 8,000 cashback, the iPhone SE at flat 15 percent discount and Rs. 3,000 cashback. The Xiaomi Mi Max 2 is also available as part of the sale. 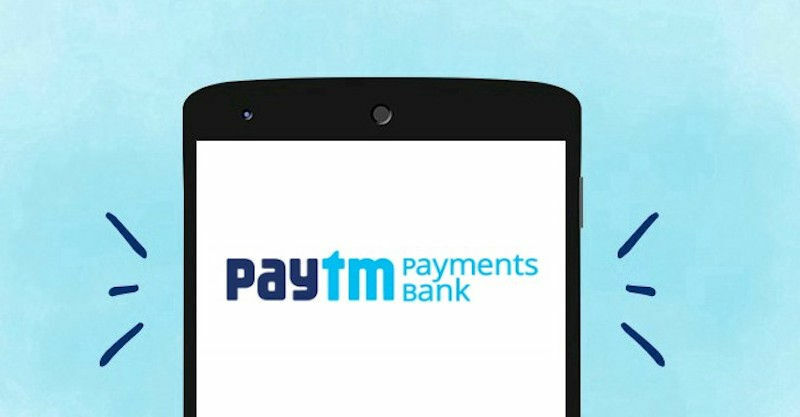 There are Paytm cashback offers up to Rs. 20,000 on Apple, HP, and Lenovo laptops. DSLRs, TVs, and washing machines have a similar offer, while some watches from Titan and Fastrack are available at 40 percent cashback. If you spend more than Rs. 1,499 during the Paytm Mall sale period, you can enter to win an iPhone 7. The Xiaomi Mi 5X looks set to be coming to India in September, judging by a tweet put out by XiaomiIndia MD Manu Kumar Jain. Jain said it’d be Xiaomi’s first dual-camera phone in India, which leaves the 5X as the main contender. It has two 12-megapixel sensors on the back, a f/2.2 wide-angle lens and a f/2.6 telephoto lens. The Xiaomi Mi 5X was launched at CNY 1,499 (roughly Rs. 14,200) in China, so it should cost less than Rs. 20,000 in India. Meanwhile, a new leak for Xiaomi Mi Note 3 has revealed that the device may come with a 2K (1440×2560) OLED screen developed by Samsung. The phone will also reportedly carry the Snapdragon 835 and have a near bezel-less display, so Xiaomi is clearly gunning for the Galaxy S8. OnePlus 5 now has a new limited-edition colour option: Soft Gold. Interestingly, the colour is only available with the lower 6GB/64GB RAM-storage variant – which costs Rs. 32,999 – and will go live on Amazon India and OnePlus’ website on Wednesday, August 9 at 12 am. This new OnePlus 5 colour option can leave buyers in a dilemma of sorts, considering Soft Gold is reserved to lower variant, and Midnight Black is locked to the higher 8GB/128GB option. The only common choice is Slate Gray. Lenovo’s upcoming Moto X4 is set to have a unique dual-camera design, judging by the new leaked render shared by Evan Blass. It counters the previous render he shared himself, which he said wasn’t reflective of the final product. In the new one, the two cameras sit side-by-side in a circular housing with the flash support at the top. In other Lenovo news, the K8 Plus has been spotted on benchmark site Geekbench, ahead of the K8 Note’s launch in India on Wednesday. It runs Android 7.1.1 Nougat, is powered by an octa-core MediaTek Helio P25 chip, and has 3GB RAM. Lastly, the Google Pixel 2 has shown up in leaked live photos, which suggest wide bezels (ugh) and stereo speakers. A picture of the back shows a single camera and a fingerprint sensor. Samsung has launched the rugged, more durable version of its flagship – the Galaxy S8 Active – which comes with a shatterproof screen. It can be pre-ordered for $28.34 (roughly Rs. 1,800) per month for two and a half years via AT&T Next, or $849.99 (roughly Rs. 54,100) if you are paying up-front. The Samsung Galaxy S8 Active will be available in US stores this Friday, August 11. There’s no word on when the S8 Active will launch in other countries. Available in Meteor Grey and Titanium Gold colour variants, the S8 Active has a metal frame and bumper that protects it against shock, abrasion, tilting or twisting. While that’s all well and good, the housing does take away from the bezel-less brilliance of the Infinity Display. The Galaxy S8 Active has passed military specification (MIL-STD-810G) testing, according to Samsung. In terms of specifications, the Galaxy S8 Active is on par with the standard version, except a battery pack that goes up to 4,000mAh. Alongside, Samsung has also announced a pair of wireless headphones in U Flex, which gets its name from the bendable neckband. The U Flex also has a dedicated button for Samsung’s digital voice assistant Bixby, which can be reconfigured to choose from clock, timer, Samsung Health, or favourites. We don’t have pricing or availability details yet, though those will probably arrive with the launch of Galaxy Note 8 on August 23. The next iPhone launch is still over a month away, but the steady stream of leaks has given us multiple new looks at the upcoming models. An image shared by Evan Blass reiterated the bezel-less design we’ve seen before for iPhone 8, which includes a wrap-around display for the front camera, sensors, and earpiece. An image shared on Weibo shows that we might get a new Copper Gold colour with the new iPhone. Meanwhile, Foxconn VP Luo Zhongsheng allegedly told reporters that the iPhone “will not be cheap” owing to supply chain issues, since yields are low on the new OLED display being provided by Samsung. After the founders of Snapdeal called off merger talks with Flipkart, its biggest investor SoftBank has begun direct talks with the latter, according to CEO Masayoshi Son. “We respect the decision of Snapdeal founders and we are engaged with Flipkart,” Son said after the Q2 earnings were announced. SoftBank owns 35 percent of Snapdeal and was said to have mediated its sale during the past few months. 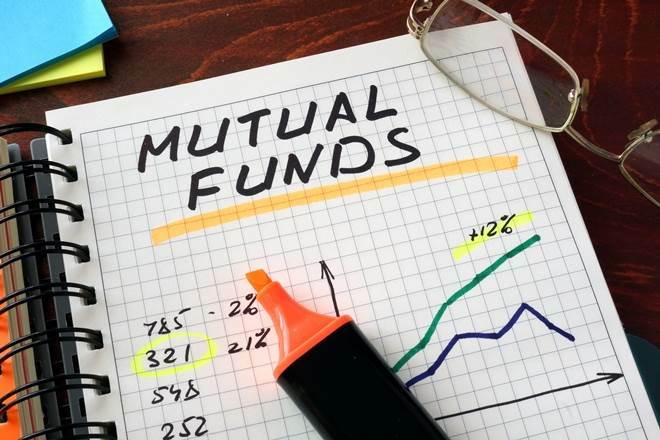 The Japanese firm is now looking to invest $2 billion in Flipkart. A class-action lawsuit filed in California last week has alleged that 42 apps made by Disney working with three companies – Upsight, Unity, and Kochava – have been collecting personal data on children, and illegally sharing it with advertisers without parental consent. US law prohibits companies from signing up those under the age of 13, as part of the Children’s Online Privacy Protection Act (COPPA). In a statement, Disney said it has a “robust COPPA compliance” programme and intends to defend itself in court. LG may have inadvertently revealed the look of its next flagship – the LG V30 – thanks to an online competition in collaboration with Joseph Gordon-Levitt’s HitRecord production company. Entrants are given early access to LG products, and their videos – though not available in high-quality – paint a clear picture of what the V30 will have. The back of the phone has a dual-camera setup, a fingerprint sensor, and the moniker ‘V’ etched below it. The LG V30 is set for its pre-IFA 2017 Berlin launch on August 31. YouTube’s in-app messaging system, which allows you to share videos and chat with your friends and family right in the app itself, is now rolling out globally for both Android and iOS users. Google may have lost the social media battle, but it still owns the world’s largest open video platform, so this new addition may well help keep users on the platform they watch the most. When you tap the Share button, you’ll be able to choose from people with Google accounts. Once you do so, or if someone shares a video with you, those conversations will be available in the Shared tab.